London Euston station. Credit: Berm Teerawat. 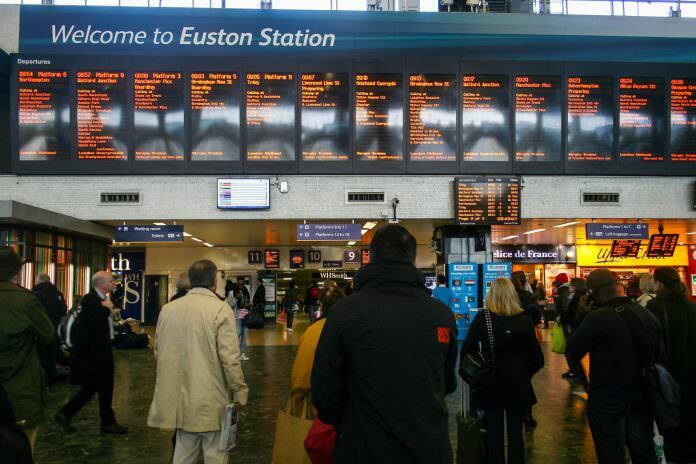 Passengers have been warned to avoid travelling into Euston station across the August bank holiday as vital HS2 work takes place. On August 26 to 27, Euston station will be closed as a key power supply is relocated to make way for the new high-speed line, an ‘important early step’ towards delivery of the first phase of HS2, according to Network Rail. No trains will run in or out of the station across the weekend, but London Underground services from the station will be unaffected. Network Rail will be conducting the work on behalf of HS2. HS2 programme director Rob Carr said: “HS2 is working closely with Network Rail to deliver a brand new high speed railway that will boost the UK’s economy and revolutionise rail travel in the UK – increasing capacity and better connecting cities in the Midlands and the north to each other, as well as to London. There’s nothing positive about HS2. There is a alternative way to build a high speed rail line and that’s HSUK. HSUK high speed plans are far more better, cheaper and will benefit more people. Plus HSUK will NOT cause any property destruction and will be environmental friendly.